Whether you prefer the bustling market town of Alnwick or the stunning Northumberland Coast Area of Outstanding Natural Beauty, we have a self-catering holiday cottage in the right place for you. Leaholme Cottage is situated in the quiet coastal village of High Newton-by-the-Sea, just a few metres from the renowned Joiners' Arms and Newton Hall, and within ten minutes' walk of three unspoilt beaches and the award-winning Ship Inn and microbrewery. Barbican View and Castle Retreat occupy two floors of a Grade 2 listed townhouse directly opposite the entrance to Alnwick Castle and just a few minutes' walk from The Alnwick Garden, Bailiffgate Museum, and other town centre attractions. 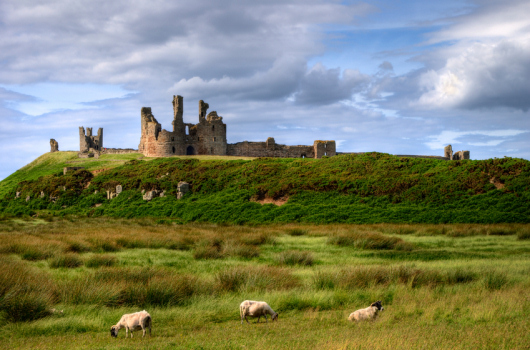 From all properties, there is easy access by car to Northumberland's great beaches, coastal villages and castles. 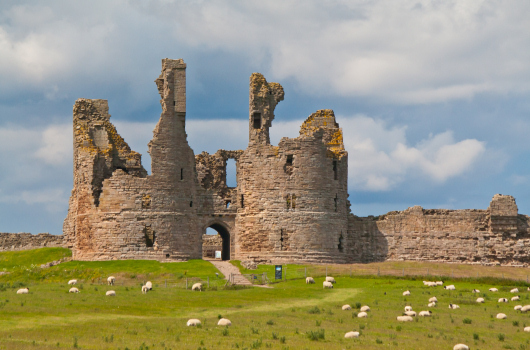 Lindisfarne (Holy Island NT), Bamburgh, Seahouses, Newton-by-the-Sea, Embleton, Dunstanburgh (NT / English Heritage), Craster, Howick, Boulmer, Alnmouth, Warkworth (English Heritage), Amble and Druridge Bay are all within a half-hour drive. Inland, a similar travel time will take you to Rothbury (Cragside NT), Chillingham, Wooler, or the county town of Morpeth. 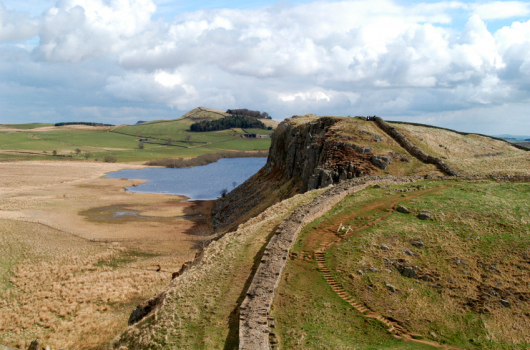 Northumberland National Park, including the Cheviot Hills, can be accessed easily via the Breamish Valley (Ingram) or Coquet Valley (Harbottle). Slightly farther afield, but within a hour's drive for day trips, are Hadrian's Wall (Housesteads NT / English Heritage, Vindolanda, Chesters English Heritage), Hexham, Corbridge, Belsay Hall (English Heritage), Otterburn, Kielder Forest Park and Reservoir, Berwick-upon-Tweed, Durham, Beamish Museum, and the National Glass Centre (Sunderland). Newcastle-upon-Tyne, with its Laing Art Gallery, Discovery Museum, Centre for Life, Hancock Great North Museum, Baltic Centre for Contemporary Art, Sage Gateshead and other music venues and, of course, famous nightlife are just as reachable for day trips. Edinburgh city centre is less than two hours away. Please refer to our information section for more details.